The waters are subsiding, and we are getting some sunny days. 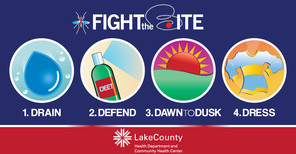 While this is great news, as you can read below, mosquitoes with West Nile virus have been detected in Lake County. Be sure to clean out areas that could allow mosquito breeding such as bird baths, kiddie pools, flower pots and fire pits. Be sure to follow the 4 Ds of Defense. The trail systems are opening up too. But be sure to check trail and preserve status before you head out. 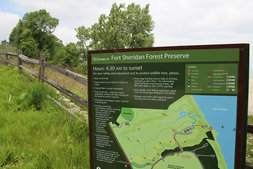 Every July, the Forest Preserve District holds our monthly meeting at a preserve. This year, we headed up to Spring Bluff in Winthrop Harbor. Thanks to the Winthrop Harbor Yacht Club for hosting our meeting. I encourage you to go visit. The observation deck will be complete soon, and you will get a fabulous view of the Chiwaukee Lake Plain area that includes internationally recognized wetlands. Take a swimsuit and go for the day! At the meeting, we approved a resolution awarding a three-year contract for the Barrington Greenway Initiative for ecological services. We are excited about this cross jurisdictional partnership. At the July County Board meeting, we approved a contract with Tyler Technology for implementation, training, hosting and yearly maintenance of a new online utility billing system. This will have enhanced security for our 26,000 water and sewer customers as well as the ability to pay online and other features. We approved a joint resolution for acquisition of necessary right-of-way and costs associated with the construction of a bike path along Washington Street from Lancer Lane to Mainsail Drive. We continue to look for ways to be more efficient and look for partnerships with communities. We approved an Intergovernmental Agreement with the Village of Round Lake to provide plan review and construction services for the Village; all costs will be covered by the Village. In a separate item, we approved water interconnection for system maintenance and emergency purposes with the Village of Round Lake and a County system at Brooks Farm. I am always looking for feedback on my newsletter as well as what's happening in Lake County. If you have any comments or concerns, feel free to send me an email. If this newsletter was forwarded to you, please sign up to continue to receive news about Lake County and District 21. Also, make sure to like my Facebook page where you can get relevant and up-to-date information important to District 21. Remember to hit "Like” at the top of the page! I recently gathered with Nineteenth Judicial Circuit Chief Judge Jay Ukena, Lake County Board Chairman Aaron Lawlor, along with judges, fellow County Board members, elected officials, justice partners and others on July 17 for the ribbon cutting of the new Court Tower in downtown Waukegan. The ceremony also included the dedication of the Audrey H. Nixon Pedestrian Bridge. A mosquito pool (batch of mosquitoes) sampled on June 28 in Highland Park has tested positive for West Nile virus. The mosquito pool is the first confirmed indicator of West Nile presence in Lake County in 2018. Find out more, including who to call if you want to report areas of stagnant water, report locations of dead birds, and obtain more information on the signs and symptoms of West Nile virus. Farmers Markets are in full swing with summer bounty. Find one near you. Three scenic observation areas, including a 70-foot overlook of Lake Michigan, with new and relocated educational exhibits that tell the story of the area’s unique history and include new information about the Lake Michigan Bird Flyway. Nearly a mile of new accessible paved trails and conversion of the woodchip section of the Hutchinson Trail with new bridges and boardwalks. Redesigned main entrance on Gilgare Lane, widened to a full two lanes, which leads to a new 45-car parking lot with five accessible spaces and an evaporator toilet building (an innovative waste disposal method that is odor free and saves water). Improved north parking lot with new paved trailhead and an evaporator toilet building. Restored shoreline with native plantings. Remaining portion of George Bell Road and gates removed and area restored with native plantings. Join us for viewing nesting herons, cormorants and other waterfowl at the Rookery Watch at Almond Marsh Forest Preserve. This free event takes place from 8 a.m. to noon every Saturday until the end of July. The Events in the Plaza outdoor concert series runs through Aug. 7. at Independence Grove Forest Preserve in Libertyville. The entrance fee of $6 per car after 5 p.m. Enjoy nature? Want to learn something new? Visit our Nature Blog, and if you enjoy history, be sure to read the History Blog by Diana Dreske. You'll be surprised at what you learn. You can also view a full calendar of Forest Preserve events for more information. 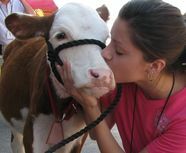 The 90th annual Lake County Fair returns July 25 through 29 at the Lake County Fairgrounds and Event Center in Grayslake. Check out new attractions including the Timberworks Lumberjack Show and family activities presented by the Illinois National Guard. Returning favorites include truck-and-tractor pulls, demolition derby, 4-H exhibitions, and more. Visit www.lcfair.com for more information. Transportation and Public Works employees from Lake County, and many of the surrounding communities are collecting food to feed our hungry neighbors. We are partnering with the American Public Works Association Lake Branch, the Northern Illinois Food Bank, and the Lake County Sheriff's Office for a county-wide food drive! 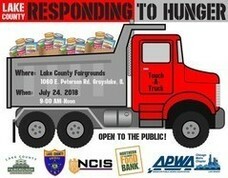 All food donations will be delivered to the Lake County Fairgrounds for a huge Touch A Truck event with all the participating agencies. Lake County continues to look for ways to be more sustainable—both environmentally and economically. The Lake County Board authorized at its July 10 Board meeting to upgrade and install light-emitting diode (LED) street lighting at roundabout street lights and underpass luminaires. Over the past several years, LCDOT retrofitted all existing traffic signals throughout the county with long-lasting LED lamps, and now they are looking at street lighting. LED lights reduce power consumption and keep ongoing maintenance costs low. Learn more ways that Lake County focuses on sustainability by visiting our Sustainable Lake County website. Curbside recycling keeps so much out of our landfills, BUT did you know there are items that you should not put in your recycling bin such as plastic bags and Styrofoam containers? Watch this video, and get an inside look of the recycling process at the Waste Management Recovery Facility in Grayslake. *Note* You'll notice items like plastic bags get wrapped in the machines. Before you add items to your recycling bin, check these guidelines from the Solid Waste Agency of Lake County. Lake County businesses, schools, churches, non-for-profits and units of government are invited to bring broken and unwanted electronics to be recycled at a special collection event from 8 a.m. to noon July 24 at the Lincolnshire Corporate Center West parking lot, 300 Knightsbridge Parkway. The Solid Waste Agency of Lake County provides free opportunities for residents to recycle electronics through a network of drop off locations. However, State law limits these locations to accept only residential electronics. Learn more, including what items will be accepted. Outside of food containers, you probably generate some metal waste such as old tomato cages, the filing cabinet you don’t need or other odds and ends. There are a number of places in Lake County that accept this waste. I keep a reusable grocery bag in my garage and toss in the small pieces of metal until I have enough and then go to the recycling location near me. Find metal recycling near you. The Solid Waste Agency of Lake County provides a variety of convenient services for Lake County residents including electronics recycling, household chemical waste collections, textile recycling, paint disposal, prescription drug drop-off boxes, Reuse-A-Shoe program, and composting options. Lake County Public Works is committed to providing safe water throughout the County. As strong supporters of the Safe Drinking Water Act, Public Works releases annual water quality Consumer Confidence Reports (CCRs) for the 12 water systems they own and operate. These reports describe the sources, treatment, and chemical analysis of each water distribution system. All Lake County systems passed testing requirements for the Illinois Environmental Protection Agency. Visit the water quality reports web page to read your report. The Lake County Children’s Advocacy Center is committed to providing a safe environment for child victims of abuse. The center wouldn’t be possible without help from community partners. Watch this video as the State’s Attorney’s Office took time to recognize these individuals. The Lake County Opioid Initiative will be hosting its first Annual “Save a Life” fundraising event on Sept. 14 at the Double Tree by Hilton in Mundelein. Join us to support a significant cause and to continue our battle the against the opioid/heroin epidemic. Lake County recently evaluated the Land Development Fee Schedule for development in unincorporated Lake County, and changes went into effect July 2. Learn four things you need to know about these changes. Recently, the Stormwater Management Commission (SMC) submitted its annual facility inspection report to the Illinois Environmental Protection Agency on behalf of Lake County. This report is a yearly requirement for Lake County’s National Pollution Discharge Elimination System (NPDES) permit, which covers Lake County’s municipal separate storm sewer systems (MS4s) discharge activities, provides monitoring and reporting requirements, and defines measurable goals for water quality protection. For more information, visit the website and the annual report. The Village of Bannockburn is hosting a free Concert in the Park from 3 to 6 p.m. July 22. South of Disorder, a Jimmy Buffet cover band will play at the Village’s Open Space Shelter, 2245 Telegraph Road. Bring a picnic and enjoy the music. The Grayslake Park District offers free children’s programs. Join Science Tellers at 10:30 a.m. Friday, July 20. Also, don't miss the park district's Cardboard Boat Regatta on July 28 at Jones Island Beach. Find out more, including how to register. Eat to the Beat! The Deerfield Park District will sponsor free lunchtime concerts from 11:30 a.m. to 12:30 p.m. July 25 and Aug. 1 at the Jewett Park Pavilion. Also, the Fall 2018 Program Guide is available. Residents can register starting July 23, non-residents on Aug. 6. It will be a busy few days in Libertyville July 19 and 20. The fun will start with the regular Farmer’s Market from 7 a.m. to 1 p.m. Thursday, July 19 and the concert in the Rose Garden at 7:30 p.m. Then, don't miss Lunch in the Park and Sidewalk Sales on Friday, July 20. The Brushwood Center for the Arts located in the Ryerson Forest Preserve is debuting "The Promise of an Acorn" on Sunday, July 22. The free art exhibit opens at 1:30 p.m. Speakers Skip Twardosz and Gerould Wilhelm will talk about the crucial plants and animals of the Chicago Region 3-4. Get more information. Crusin' with Cops returns to Lincolnshire from 6 to 9 p.m. July 27. The free event will take place at the corner of Milwaukee and Half Day Road (475 Milwaukee Ave). The American Legion McKinlock Post 264 will again sponsor Lake Forest Day on July 31 and Aug. 1. There is a full line-up of events, including a fun run, parade, music and more. Did You Know There's A Lake Michigan Water Trail? Bring the family to a free event from 1 to 7 p.m. Aug. 3 at Waukegan Harbor, 55 S. Harbor Place. Learn water safety, fish, and go on guided tours of natural areas. No registration is required. Learn more at PaddleIllinoisWaterTrails.org. You can also learn about water trails around the area at the same site. Find more fun in Lake County at Visit Lake County.